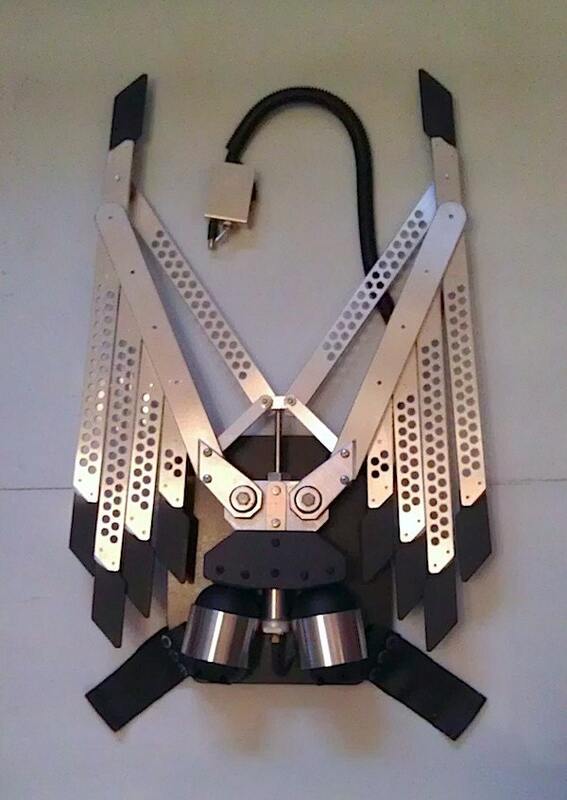 Bionic Concepts - Gas Powered Mechanical Wings Version 1. Opens to 4.5 feet wide at the flick of a switch! Powered by small CO2 gas cartridges. This particular wing design is one of the most durable because of it's simplicity and thick alloy aluminum construction. 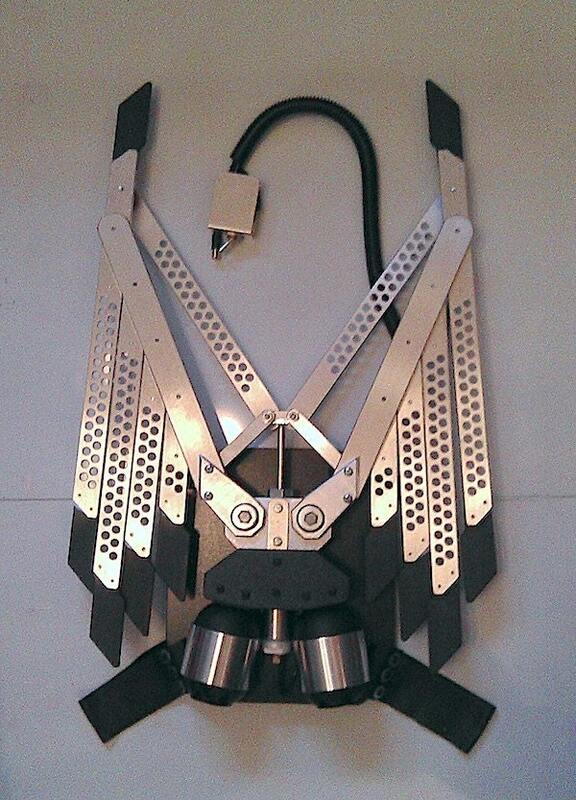 Attaches to your back like a backpack with 2 inch wide leather straps and snap on detachable buckles. The main advantage to CO2 is speed. The wings will launch open fast and smoothly close shut. The electric version opens and closes a lot slower. Note: Due to the new miniature CO2 regulator system these wings no longer come with the air tanks shown in the pictures. To obtain CO2 cartridges find a local bike shop or any other business that sells “16 GRAM THREADED CO2 CARTRIDGES” or order them online. A box of 20 can often be found for $25-30. Check for shipping availability in your country. Sometimes companies will not ship CO2 cartridges over seas or across borders because they contain pressurized gas. These wings will also work with the larger 25 gram size of threaded CO2 cartridges. Generally the electric version is easier to use. The batteries are easy to find and recharging them is a simple process. 1-2 weeks construction time. Ships worldwide in about a week.